CT derived surgical guides are rapidly changing the standard of care for implant dentistry. There are many different protocols to match the varying situations in which patients present to you. All of the protocols are listed in the top main menu, but an easier way to determine the protocol for your particular case may be to follow this wizard. Feel free to use this for your implant care, even if you are not using Trumergence LLC for your surgical guides. 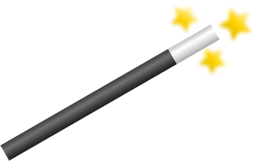 If at any time you want to restart the wizard, just click on the wizard’s wand.